For small renovation projects i.e. updating rooms with just some fresh paint and new light fittings, or if you want to get stuck into bigger projects such as removing walls/adding rooms, you would need to hire professionals such as qualified tradespeople and builders. TIP: Remember to source 2-3 quotes then compare pricing and understand EXACTLY what you’re getting for the job quoted. 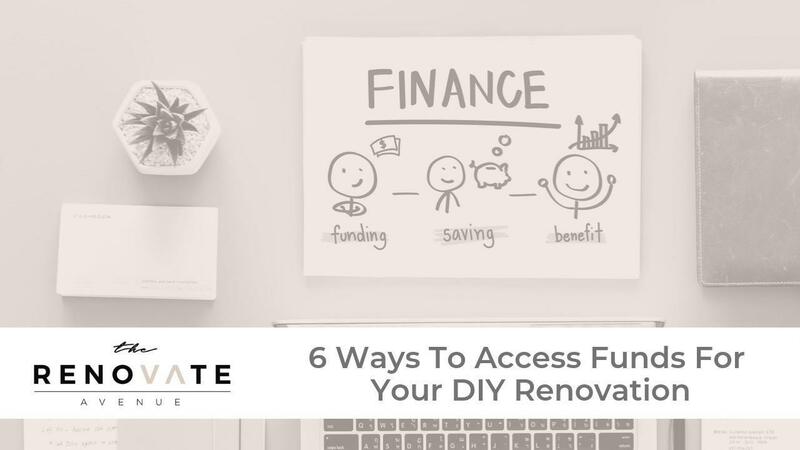 Where will your funds come from for your renovation? Go see your bank and negotiate a better mortgage. This is where you can truly save a significant amount of money. If you have more than 20% equity, you can switch lenders quite easily, so use this strategy to your advantage as leverage. Asking your bank for better rates, and knowing what the competitors rates are, will give you an advantage when negotiating with your bank. To find out all the available bank rates go to Lendi, which will give you a snapshot of best rates, and you can take this loaded knowledge to your bank to ask for a better deal. If your bank is not responding to your requests, go see a home loan specialist such as a mortgage broker and discuss options available to you. TIP: Cut back on weekly shopping, shop around for insurances or bundle them for cheaper rates and stop buying lunch and coffees daily. Remember to review your current home loan every few years and find a more competitive deal on the market with possibly a new lender. By refinancing your mortgage with a lower interest rate your monthly repayments will decrease, saving you thousands of dollars that can ultimately go straight towards the renovations. What is Equity? It's the difference between the bank’s valuation of your house and the amount you still owe on your mortgage. For example; if your home is valued at $800,000 and your mortgage is $500,000 then you have $300,000 equity in your home. The bank won’t give you a loan for the full amount but generally speaking, you will be able to borrow up to 80% of the value of the home. If you’re unsure, do your own research and speak to your bank. Tapping into the loan of your property is a good option for financing the project if you’re considering a larger renovation project. Accessing a home equity loan is the most common method in Australia to fund home renovations. If you’ve made extra repayments on your home loan, a redraw facility allows you to access the additional payments you’ve made. Keep in mind, not all home loans have a redraw option. Shop around for best rates as there are a range of lenders out there who offer different types of personal loans and rates. An unsecured personal loan would be possibly more suited if your renovation is of a medium size. This sort of loan offers smaller borrowing amounts from around $5,000 up to $30,000 for a loan term of 1-7 years. A couple of years ago I needed to get a house ‘sale ready’ in 8 weeks, and I was in need of an extra $10,000 immediately. I found a low-interest credit card which offered 55 days interest-free and I could complete the renovation, within my timeframe and pay off the card after the sale. There are many negative connotations with credit cards, but if you have every good intention to pay it off as soon as possible, then it’s quick and easy access to money. I am certainly not advising you to go and apply for a credit card right away, but it worked well for me at the time in my circumstances. Overall, remember that your renovations should add more value to your home than they will cost to carry out. 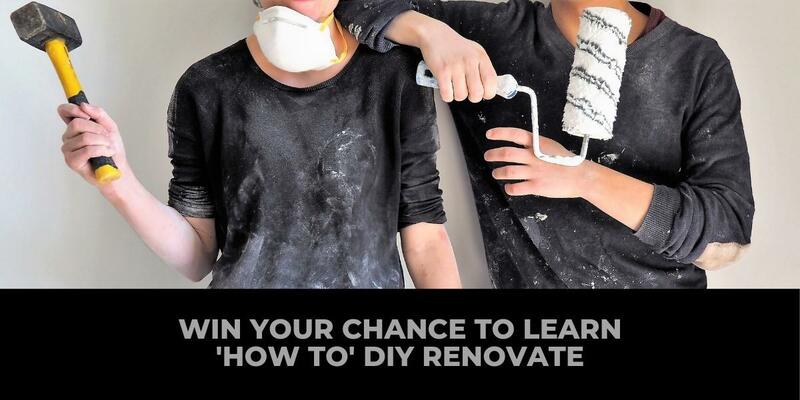 Think about how the money you spend on a renovation will increase the value of your property. If you have a fantastic plan in place, with proper research and planning, you can add serious value to your property which can move you forward in the property market. Don’t be afraid to get started with negotiating the best deals to save you money. A successful renovation is very possible and can lead to positive outcomes if you do your homework.